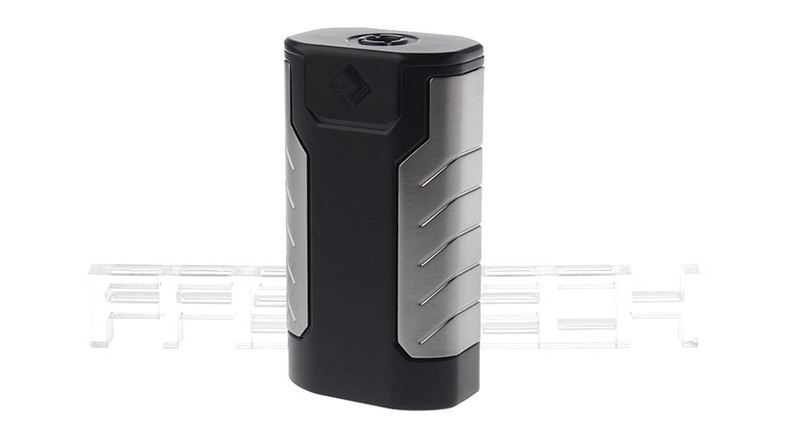 The Sinuous FJ200 is a fresh look at an Internal Dual Battery Device. It hails design cues from the original Predator 228 but with the addition of an updated centered 510 and larger OLED. Featuring an innovative temperature protection technology, the safety of charging will be greatly enhanced. 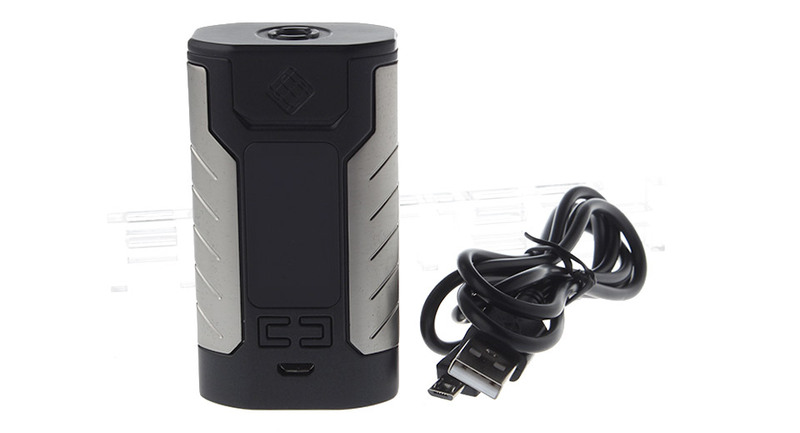 The 200W max output and 4600mAh battery are engineered to deliver a satisfying all day vaping experience. 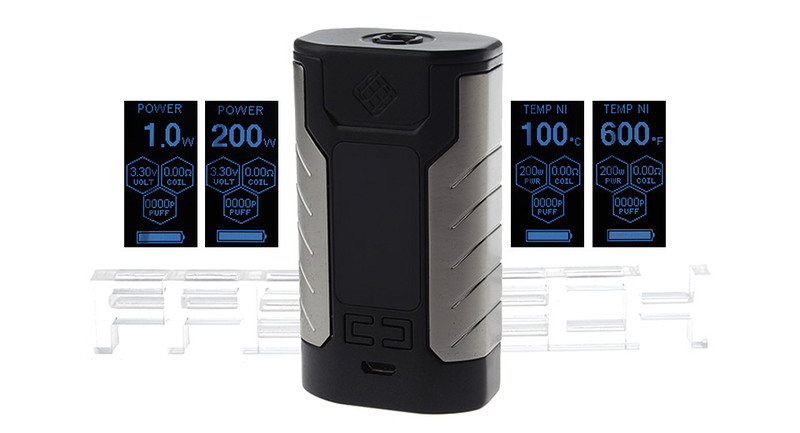 200W max output & 1.3 inch large display: Powered by a sustainable 4600mAh internal battery, Sinuous FJ200 is capable of outputting 200W power, providing you with large vapor. The 1.3inch large screen can present all parameters in a more clear way. Temperature protection system for safer charging: The innovative temperature protection technology is firstly applied into the Sinuous FJ200 mod. It will improve the safety performance of charging effectively. Hidden fire button with green indicator light: Compact yet intelligent, the mod with ergonomically designed shape is easy to grip and carry. 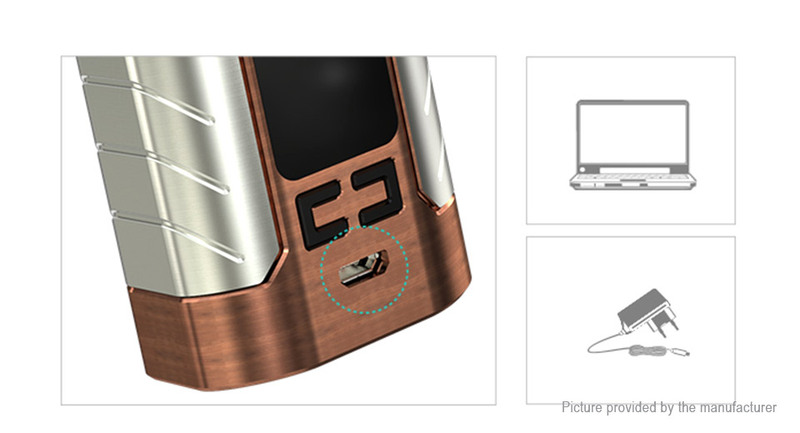 The hidden fire button and responsive indicator light also make Sinuous FJ200 much fashionable. 2A max charging current for quick charge: With 2A maximum charging current, the mod can be fully charged more quickly than normal ones. Centered 510 spring loaded connector: The innovative design of centered 510 connector is a big plus to the Sinuous FJ200. It can hold tanks up to 28mm diameter. 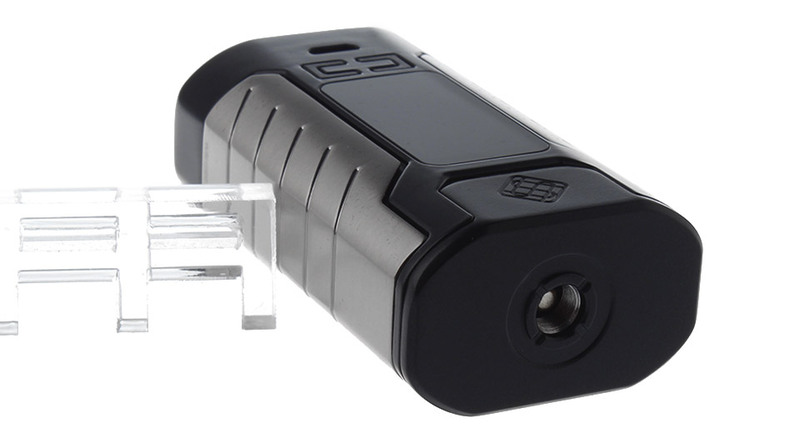 Great mod only con is slightly small battery life and small gap between mod and atty,s.